At just 16 he was part of the senior Lancashire team that won the English Counties Championship in 1945. 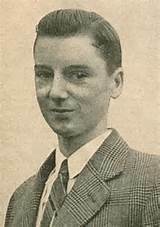 In April 1946 aged 17 he came 2nd in the British Boys Championship at Hastings. Crown represented England against the Dutch in 1947 winning both of his games and was then invited to play in the British Championship.